COUPON MADNESS MEANS MONEY for As Good as Gold! For every coupon used, As Good as Gold gets a $1 donation! These donations add up quickly. 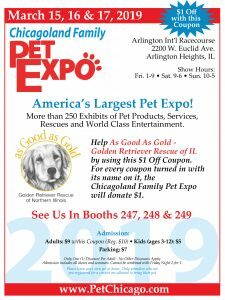 If we are the rescue with the most coupons used, we get an additional $100 bonus!!! 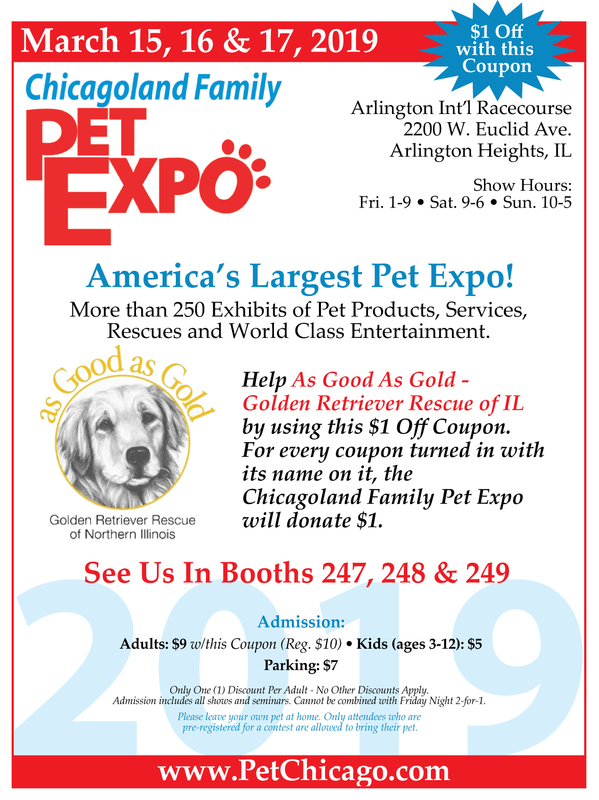 Click on the image to open in a new window (be sure to disable any pop-up blockers) so you can print and take it with you to the Chicagoland Family Pet Expo. It is also available in a PDF version.